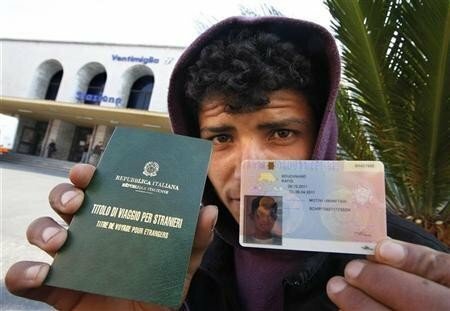 The so-called “sanatoria 2012” for illegal immigrants will begin on September the 15th and will last a month, until October the 15th. It is, in truth, not a real “amnesty” technically speaking, but a transitional phase to the legislative decree through which the italian State has just acknowledged the EU guideline regarding sanctions for companies and families employing illegal immigrants. The measure, not yet published in the Official Gazette (Gazzetta Ufficiale), will save the employers from heavy sanctions for boosting under the table job, while allowing, at the same time, permit of stay achievement by illegal immigrants. The unconventional employment has to be reported by the job employers, both italian and foreign: all the employers, coming into effect the above mentioned legislative decree, employing since at least three months permit of stay lacking employees could submit, to the immigration unique window (sportello unico per l’immigrazione), an irregular work emersion instance (istanza di emersione di lavoro irregolare). In order to benefit from the “sanatoria”, the esatblished employment has to be a full time employment. In case of house workers, instead, a part-time employment, of at least 20 weekly hours, is also admitted. The employees, moreover, have to prove, through documents originated by public offices, to live in Italy at least from 31.12.2011. 3. having employed foreign worker without permit of stay or with expired one without renewal request, or with revoked or cancelled permit of stay. Finally, is not allowed the application by the employers who, after the launch of irregular work emersion procedures or after having enjoyed of “flows decree” (decreto flussi), have not subscribed the stay agreement nearby the unique window (sportello unico) or not employed the foreign worker. The emersion declaration has to come along with the payment, in charge of the employer, of a 1.000 euros flat rate for each illegal worker, beyond the regularization of the amounts owed for wage, contributory and tax systems for a period of at least six months. 3. collect the Territorial Directorate of Labour opinion about the employer economic power and about the adequacy of applied working conditions. If the verifications carried out will not reveal any obstacle, the immigration unique window will convoke the interested stakeholders for the stay agreement stipulation and for the permit of stay sumbission presentation, requiring the exhibition of the 1.000 euros flat rate proof of payment and of the regularization of wage, contributory and tax positions. 4. considered as dangerous subjects for public order or State safety. The foreign dangerousness will be evaluated also in front of possible received conviction, although the sentence is not final, of one of the offenses for which the arrest in flagrante delicto is optional. But only if the expulsion has been imposed for reasons of public policy, public security, for social danger or preventing terrorism. Instead, they can participate in the amnesty immigrants who have been subjected to a deportation for illegal entry, for not having asked permission to stay within eight days of arrival in Italy, for non-renewal or revocation of a residence permit, not they have complied with a previous deportation or removal order for the same reasons. I have folio da via.carabinieri arrest in house without ducoment.can i do submit to permit of stay. i apply for political assylon and was rejected by the commission and made an appeal court rejected my appeal can i also apply for this permit of stay 15 september to 15 october 2012. I been here 6 month and few days ago I got a passport from my native country consulate office.I have no proofe of entry in italy and i have not make any contract with any employer for job.I am surviving here by the help of other poeple. I have folio da via from polizia can i apply? how about me? i arrived last june this year but i have a employer that is wiiling to make me legal. is it possible that i can be legalized tru this sanatoria? salam, how i can enter in immigration scheme………….? waiting 4 your response………….? why are being so late to give us declaration result. all submitted our papers about 4 months, but not getting any respond from per fettura. how long have to wait the same way, we people are in out of danger. pls do something for us the italian immigration office. You are right, but there have been many requests for Santoria and the Sportello Unico Immigrazione must make frequent checks for every immigrant. You must have quiet. its very Long to process the senatoria in MIlano. we received our taxes to pay but ouy visa are not ready to claimed. what are they doing?? Diminuiscono omicidi, ma furti in aumento. I contraccolpi della crisi economica si ripercuotono sull’andamento della commissioni di reati, sottolinea il Primo presidente della Cassazione, lanciando l’allarme per l’escalation di furti in appartamento. “La congiuntura economica, caratterizzata da nuove povertà e dalla costante diminuzione di occasioni di lavoro, ha determinato poi un generalizzato aumento dei reati contro il patrimonio, in particolare dei furti in abitazione, mentre diminuiscono, malgrado le enfatizzazioni giornalistiche, gli omicidi, che registrano il più basso tasso di frequenza nella storia d’Italia degli ultimi 150 anni”, rileva Santacroce. Diverso è il discorso relativo alla criminalità organizzata che, si legge nella relazione, “seguita a essere un’emergenza drammaticamente presente in molte zone del Paese…specie (quella) di stampo mafioso, che mostra segni di una progettualità volta alla riorganizzazione e alla realizzazione del proprio potere anche attraverso un ricambio generazionale e l’inserimento nelle attività criminali di soggetti di nazionalità straniera”.